Rockit Energy Pops are perfect for workouts, extended driving, jet lag, late nights, tests, stressful situations, or anytime extra energy and clear thinking is needed. 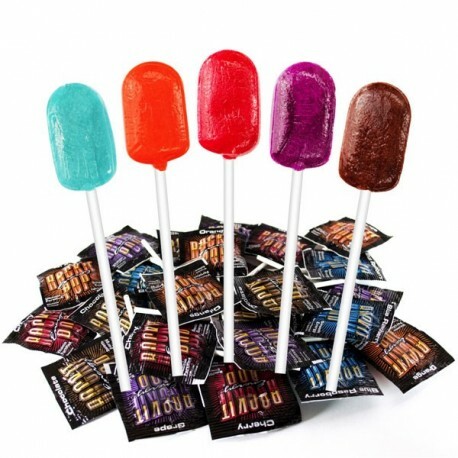 Rockit Pops don’t need refrigeration, are very portable and can be carried in a pocket, purse, glove compartment, anywhere that is convenient. All without the unavoidable “pit stops” from drinks. These five premium flavors are made from the highest quality ingredients to deliver a smooth uplifting energy boost that lasts for hours without the harsh let down so common with other products. 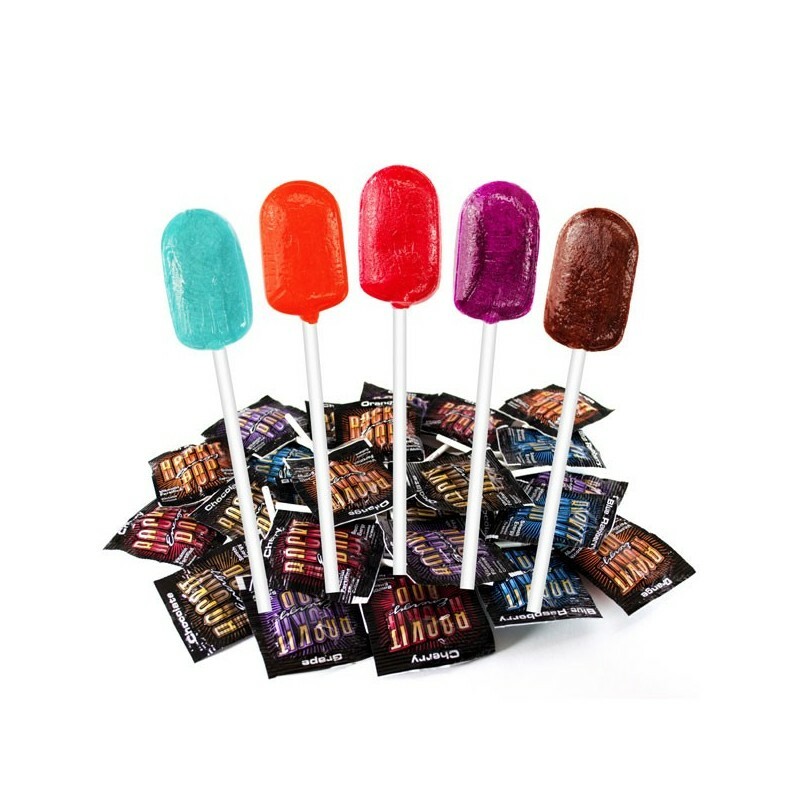 Rockit Pops combine caffeine for quick energy, a healthy dose of vitamin B3, B5, B6, and B12 for long lasting energy and clear thinking, and stress relievers for a jitter free calming effect. Yum! My favorite flavor is grape--reminds me of Charms pops. You can taste a bit of bitter at first, but the fruit flavors are strong enough to make you forget it's caffeinated. I like the lollipop "format"--it's fun to eat on my drive home and surprisingly entertaining to wave around while listening to the radio. :-). They last quite a while (1/2 hour), and I like the flat lozenge shape.